Palmeiras suffered to advance to the quarterfinals of the Brazil Cup.This match could of ended in a more peaceful way if the referees hadn't committed absurd mistakes. 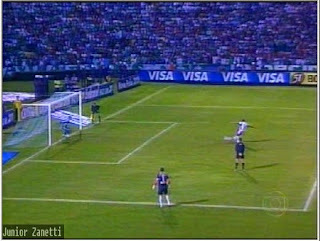 It all began at Palestra Italia game, when Marcelo de Lima Henrique ignored a clear penalty suffered by Lincoln. In yesterday's match, held at Arena da Baixada, curiously another referee (Gutenberg Paula Fonseca) was nearly responsible for a humiliating elimination. He clearly favored the home team because of the penalty that was marked. The other incredible mistake he committed was awarding Lincoln a yellow card. Lincoln was 2 meters behind Atletico's player, which clearly tripped on the ball. The referee called a foul and showed Lincoln a yellow card. In 2008, against Sao Paulo, was the famous goal scored by Adriano's hand in the semifinal of the Paulistão. The pathetic error was not enough to take Palmeiras out of the finals though ! Already in 2009 there was a ridiculous amount of mistakes against Palmeiras. 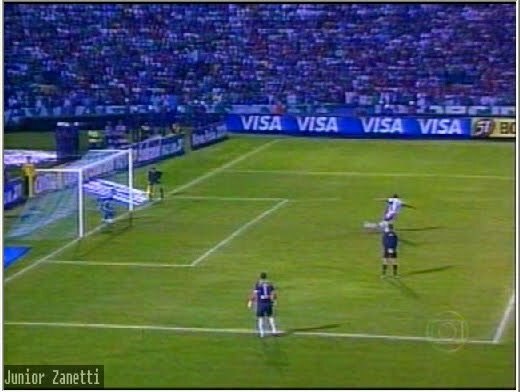 Carlos Eugenio Simon in Maracana, nullifying the clear legal goal scored by Obina against Fluminense. In this championship the Palmeiras lost 10 points because of bad refereeing. These 10 points were responsible for the loss of the championship. In 2010 nothing has changed, the Paulistão began with a series of blunders, such as the goal scored in Barueri. A clear 5 meter offsides was not marked by the referee. Let me be clear: the misdeeds of Palmeiras in the current season can not and are not justified by these errors followed the arbitration, but we can not tolerate what is happening, the men with the whistles can no longer decide matches and championships. Enough!